I've been thinking about this post for a while. This topic is close to my heart as I can not only relate to it from my own childhood, but it comes up on some level in my work every day. I know that working with children is stressful. Add to that, behaviors, issues or cultural differences that you may be uncomfortable or unfamiliar with, it can bring the stress to a whole new level. No one is perfect. Everyone makes mistakes. We are all human after all and that is the most important thing to keep in mind. 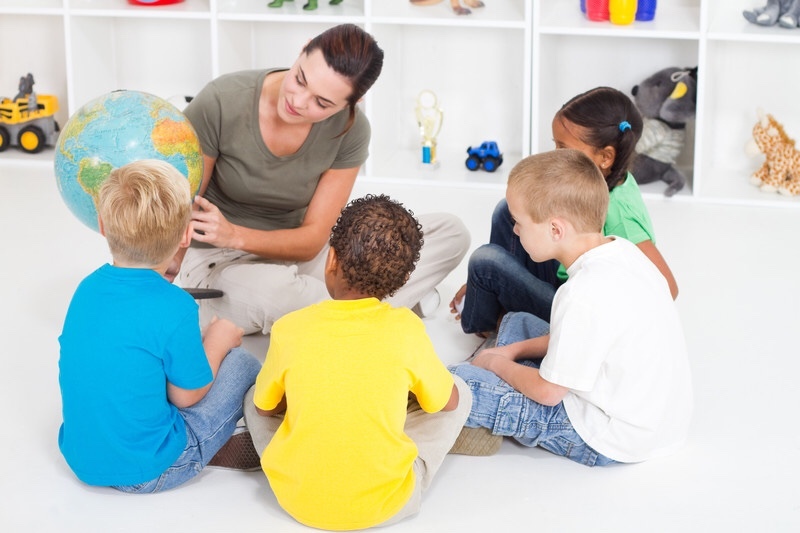 For this post, I'll focus on children with disabilities and children who are learning English as a second language, but a lot of this can even be applied with other groups of children or even adults. I'm writing this from the education perspective, but these suggestions can be applied in many situations. Being around people who are different from us not only teaches us about others, but we also learn plenty about ourselves in the process. If you are working with a diverse group of children, here are some do's and don'ts that will make the experience better for all involved. I witnessed a situation where two toddlers were arguing over being in the same space playing with a dollhouse. The area was getting very crowded and I was starting to talk to the children about it. All of the sudden, the person I was working with grabs the dollhouse and brings it to a bigger table without a word. This put one child in complete melt down mode. He had no idea why the toy was taken away and what just happened. He proceeded to push a bucket of toys off the table. Meanwhile, I’m trying to gather the toys and am explaining to him that if we move to the table, he can play with the toy. In his mind, that toy was just taken away for no reason. After a couple minutes, he calmed down and I was able to help him understand the situation. That totally could’ve been avoided with just a few simple words. I try to think of it this way. Would I like to be suddenly picked up and plopped down somewhere else without a word? Would I like it if someone grabbed something I was using and brought it to another part of the room? Of course not. It’s something we really need to stay mindful of. Do think children are capable until proven otherwise. Don’t assume that if a child can’t hear that they won’t understand anything. Use a gesture or two and it might make all the difference. Don’t assume that an autistic child never feels empathy. I worked with an autistic boy who would be the first to show concern if one of his classmates was sad. Don’t assume that a child can never learn. We all have different learning styles. Some of us learn best visually where others learn best through listening. Picture schedules labeling items and having a wide variety of activities that teach the same skill are all great ways to accommodate for different learning styles. I worked with a co-teacher who told me that this particular child never used words so I started with the basics. I’d wait for quiet moments to practice words with him. We’d look at books when he woke up from his nap. I remember him saying, baby when I’d point out pictures of babies in books. During diaper changes, I’d mention how his wipes were cold and he’d repeat the word cold. We weren’t having conversations yet, but it was a start. There were in fact words there, but my co-teacher was so focused on his inability to speak, that she never took the time to see what he was capable of. Do find enjoyment and common interests. Continuing the story about the child I previously mentioned, my co-teacher said that he never enjoyed a single activity. I made it my personal mission to prove her wrong every day. I started writing observations about him each day as we were trying to get services for him. Some of the areas I focused on, included social interactions, speech, the day’s challenges and the things he enjoyed. Each day I would list at least one activity that he did that he enjoyed. It could be something as simple as sitting and relaxing in the rocking chair or the more typical childhood activities like play-dough or reading a book. It made me happy to find the things he loved which allowed me to build a connection with him. Do treat their sensitive information with care. I’ve heard teachers on the playground say things like, he can’t hear a word you’re saying.” First, if a child has a hearing impairment, no one needs to yell it across the playground. If someone needs to know, tell them in a more discrete way. You never know who is listening or if the information is even completely accurate. In this particular case, one of the older children that was hearing these exchanges started bullying the younger child, telling him he couldn’t come in the play house because he’s deaf. In reality, this child is not deaf. He was having issues with his hearing which seem to have been corrected, but even if he was deaf, he deserves to be treated with respect. Talking to him and trying to understand him would still not be a waste of time. Do observe and ask questions. Do not make harmful assumptions. I worked with a girl who was learning English as a second language. A coworker would get so frustrated when she wouldn’t respond to her or appeared not to understand what she was saying. She’d often complain and ask, “why aren’t they teaching English at home?” Well, they aren’t speaking English at home because she knows more English than her parents. Also, they may want to keep their culture and traditions which of course includes their native language. What’s wrong with a child knowing two or more languages? Why should her parents have to parent in a language that is not their own? Just to accommodate a childcare provider, I don’t think so. Her parents were trying to teach her English using games and apps which appeared to be working. when she started with our program, she could even read some words in English. It quickly became obvious that she is very smart. I wasn’t put off because I’ve worked with English language learners before. Some things that helped me were using visuals to go along with the words, learning a few key phrases in the child’s home language and having parents share things from their family’s culture. Do look at the person in front of you. Everything does not need a label. I understand labels are useful. Especially in a world where you need a diagnosis for services like occupational or speech therapy, but there is no need to start labeling someone on the first day. Get to know them a bit before raising the red flags. Be open to the fact that an issue might have more than one explanation. I recently observed a boy walk back and forth over and over again through a pile of leaves. Some suspect that this boy may be autistic, but it may be something totally different. He might just like the sound of the leaves or wanted a more soothing activity. Obviously you wouldn’t diagnose on this one observation, but you’d need to look at the whole picture. Another explanation is that one disability could look similar to another in how it manifests itself. 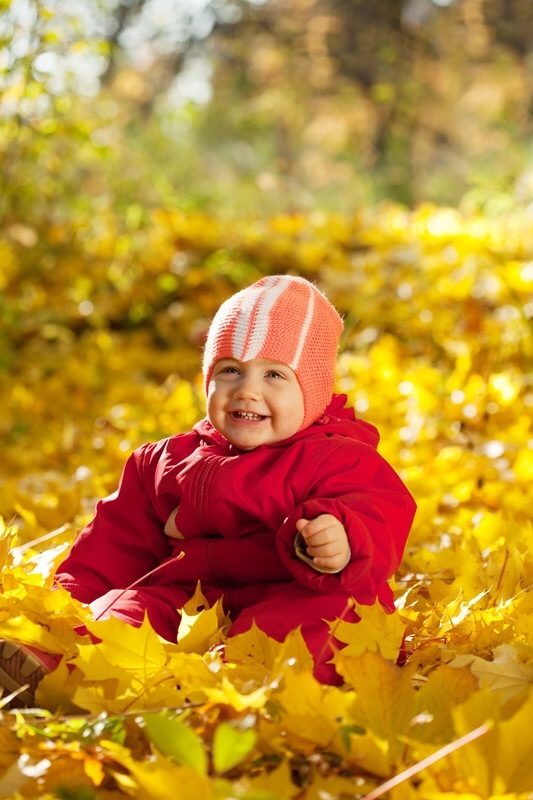 For example, the child who has regained his hearing may be repeatedly walking through the leaves because he’s never heard that sound clearly before. If he’s hearing a sound for the first time, the experience would be suddenly different. It takes time to process these things. If he is having difficulty interacting with his peers, maybe he’s trying to process language that he’s never heard clearly before. This is why taking the time to get to know the person behind whatever the difference may be is so important. They are not little boxes to check off. They are people. People who think, feel, love and dream. If you are looking for some great ideas on how to easily teach children about diversity check out this post written by Mommy Gone Tropical. Is there anything I missed? Let me know in the comments. Communication is just so important when it comes to children and others forget that they are people too. I try my best to explain everything to my daughter. This should e even more so when working with other children. Thank you for this valuable information. I use to be a substitute teacher for pre-k and kindergarten. Thank you for your comment. Substituting can be hard because unless you are subbing often, you don’t have much of a chance to get to know the children well and have to either go on other people’s information or the little you can get while you’re in the classroom. I don’t envy subs. Especially in elementary school classrooms. This is a very good list. Thank you for sharing. It is so important to communicate with all children. It may take time but it is well worth it. It is. If we are not communicating, we are missing out. There was one boy in one of my classes who I just couldn’t bond with. He was always so defiant and hard to manage. We did not mix well, but he moved to a different classroom and I didn’t spend much time with him for a couple months. Then I had a schedule change and spend lots of time with him now. Since I had the break, I could start fresh and now we have a great bond. He talks to me nonstop. the most important part is we listen to each other a lot more now. I love everything about this article. I am a teacher who works with special needs students every day, having also taught children from all over the globe at some point in my career. I am always amazed at the lack of understanding there is for children who are considered a minority. You make such valid points. I hope that every educator sees this and applies your wisdom. I am a teacher. I think you have given some great advice. It is hard not to label a child. It gets in the files and passed on from teacher to teacher. I always tried to have a fresh perspective every year and not label or assume everything. I know. It’s hard. I do it too. I think we all let someone else’s impressions sway us sometimes. The other thing is a child can act differently in different classrooms and with different people. Somtimes that changes things as well. Thank you for your comment. Even though I don’t work with children, I definitely can apply your tips and suggestions to my home life with my 4 girls who all have different personalities. I have learned NOT to treat my children the same way because, well, they are not the same person. Great tips! Yes. It’s true. This can apply with different personalities as well. Thank you for your comment. Great insight. I’m also a teacher and have subbed in every grade level. This is for everyone. Successfully working with children who are different than you expect is an art and I applaud anyone who has the grace to do it. Thanks for sharing some helpful ideas.